For the last three years I have been using the Elinchrom Ranger RX for the majority of my strobed work. Sometimes I use some Nikon speedlights for fill, but the Ranger is my key light. 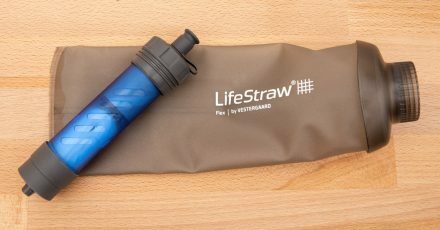 I have used it in the rain, in blizzards, in -32 degrees Celsius and it has traveled around the world to Alaska, Japan, New Zealand twice and everywhere in between. 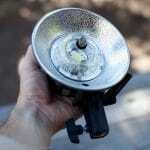 I can depend on this strobe, and it has never let me down. I have the RX version which is slightly lighter weight than the RX Speed. For me, recycling time is not such a big deal as most of what I am shooting is one off action that normally requires at least several minutes between shots anyway. Despite being the lighter weight version of the Ranger RX family, it still weighs in at a hefty 8KG just for the pack (no heads or cables). 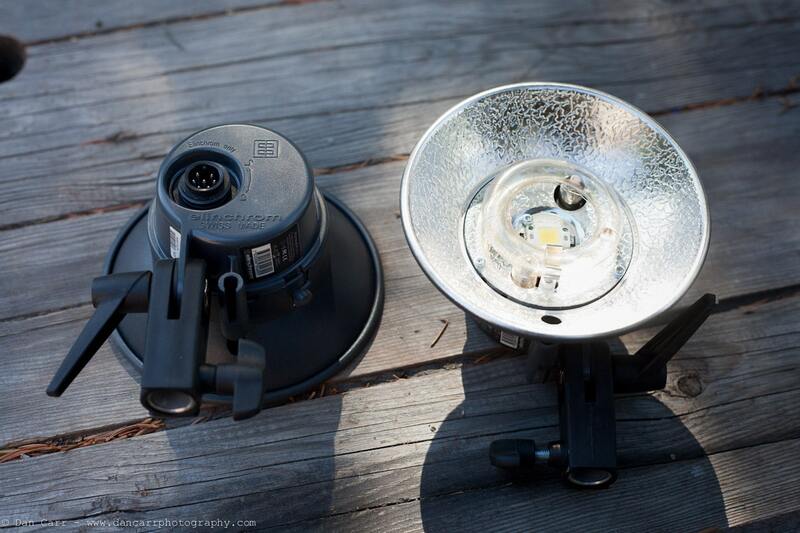 Last year Elinchrom announced the new Elinchrom Quadra. A lower powered sibling to my big Ranger, that weighed in at a much more tolerable 3.65KG. Recently I finally got the opportunity to test a Quadra setup so here are some thoughts on it and something of a comparison to my now very rugged looking Ranger RX…………. When Elinchrom first released the Quadra it was met with some mixed reactions. It appeared that there had been a couple of glaring omissions by Elinchrom’s designers. Firstly, no protective caps were included for the Quadra heads and secondly, the tiny little display on the pack was totally unreadable in daylight. This really had me scratching my head?! How is it possible to design something like this, with such an obviously fragile glass tube upfront, and not design (let alone include) anything to protect it. Especially given that all other Elinchrom heads come with such protection. Secondly, for a device that is designed for portability and flaunted as a location lighting solution, how did it make it through initial prototyping and testing with a screen which, and I say this with no exaggeration at all, cannot be read whatsoever in outdoor light? In order to save some face, Elinchrom quickly released the freshly titled Elinchrom Quadra RX. Designed to fix these two issues and also at the same time integrate their updated Skyport RX receiver. Customers in the US who bought the original Quadras were also offered free protective caps for their heads. The version of the Quadra that I had for testing was the early version that had the dud screen, as Elinchrom has now fixed this issue I will not let it taint my final review in any way except to say that it does not give you much confidence in how the product was tested before release. It is immediately obvious that you cannot view the screen outdoors and it was the single worst performing LED screen I have ever seen. There was literally no way to tell if the unit was on or off unless you cupped your hands over it and peered though the cracks in your fingers to trawl through the menu system. The photo to the right gives you some idea compared to my aging Ranger RX which you can view perfectly, guess the power setting of the Quadra??. Like I said though , it’s been dealt with, they have fixed it on all versions with a serial number greater than 4000 so we can move on…. The very first thing you notice about the Quadra heads is that they are very very small. Roughly 1/3 the size of FreeLite head for the Ranger RX. They also weigh very little (280g), much less than an on-camera flash like an SB-900 or 580-EX. The whole rear casing of the Quadra head is made of plastic which contributes greatly to the weight difference as the FreeLite heads are encased in a cylindrical metal tube with a plastic handle. The standard reflector that comes with the Quadra heads can be removed to make it even smaller. Much like the bigger FreeLite heads, the Qadra RQ heads are available in two versions. A standard RQ S Flashhead and an RQ S Speed Flashhead. The difference being that the A head has a much faster flash duration of up to 1/6000 of a second when used in the lower powered “B” port though physically they are identical. The price of the RQ A head is currently about $65 more than the RQ S head and for that difference you may as well get the faster head considering the whole setup is going to be costing you well north of $2000 anyway. A faster duration never hurt anyone, but one that is too slow can really make for less that perfect images. Incidentally I would recommend the same thing if you decided to purchase the bigger brother too. I have only ever used the A head on my Ranger RX and it has worked very well. If you already have a collection of accessories for regular sized Elinchrom heads then there is an adapter available for the RQ head that allows retrofitting any of the other softboxes and reflectors for the FreeLite heads. I did not have this to test, but some searching on the internet suggests that natively they are not that strong and need some modifications to hold the weight of larger softboxes. On top of the standard 13.5cm reflector, a 15cm grid reflector is also available but that is all they offer right now. A specialized RQ Ringflash was also introduced recently which is much smaller in size than the standard Ranger Ringflash. On the FreeLite heads the cable is permanently attached and comes in a 5m length. The cable is considerably bulkier and heavier than the RQ head cables for the Quadra. A major benefit to the Quadra is that the cables are removable from the head. Not only that but they feature a male termination on one end and female on the other end meaning you can join them together to make a longer cable of you need it. Extra RQ cables are available in a variety of lengths from 1m to 10m so you can space your heads out as needed. Remember there will be a reduction in flash power if you start running huge cable lengths above 5m though. This is one of my favorite advantages to the Quadra, packing the FreeLite A head can be cumbersome sometimes with the huge cable hanging out of the back of it. On top of that there is only one length of extension cable available for those particular heads and they are extremely expensive (hundreds of dollars!). On the left is the diminutive little Quadra head and on the right a Ranger A-Head for the larger RX units. As you can see in the shot below, the Ranger RX battery is about twice the size of the Quadra battery. The Quadra takes more shots at full power and also recharges to from empty to full in about half the time that it takes the Ranger battery to do so. The battery for the Ranger RX slides into the main body of the pack whilst the Quadra battery just clips onto the bottom of the pack. The clips for the Quadra battery are solid so there isn’t any chance that it would come off during a shoot, in fact quite the opposite, I had to fight to get the battery removed on more than one occasion. The spare fuse on top of the battery pack is a nice touch though. As a generalization, a Ranger RX and one FreeLite head takes up roughly the same volume in your pack as a two head Quadra kit with a spare battery. The Ranger RX kit is a bit heavier but in terms of bulk and space needed to safely pack the gear that’s how it pans out. Note that in the photo above I have not included the spare Quadra battery or the head cables. The Quadra comes with a 4-channel Skyport receiver built into it and the newer Quadra RX allows you to connect your computer to the pack in order to control the power functions. 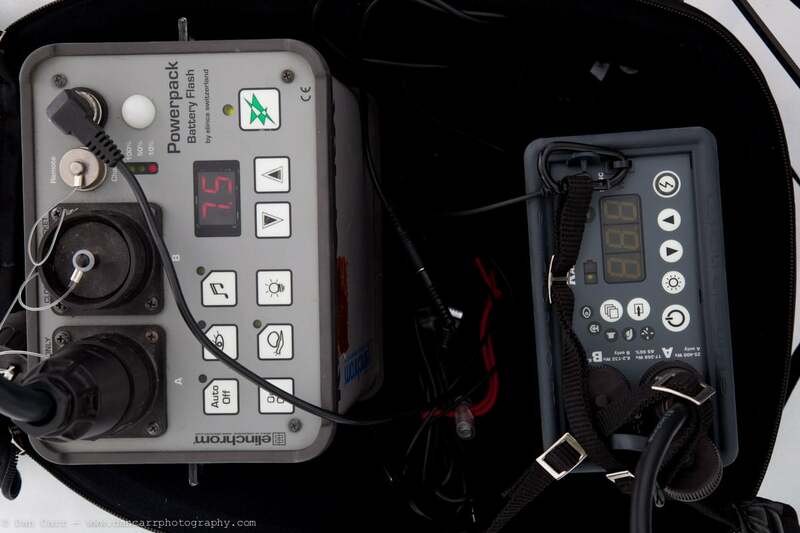 With a Skyport transmitter on your camera you can remotely control the power level of the strobes and also operate the test flash and the modeling light. If you are using multiple packs you have the option to set up multiple groups and hence control the power of individual groups of packs. The antenna on the transmitter seems like it might break off at any moment though so take good care of it! I performed some rudimentary range testing with the Skyport and a Pocketwizard connected and with the PW placed on top of the pack it had a very small advantage. A much greater advantage though is that the Pocketwizard can be positioned away from the pack and up on a lightstand and connected with a sync cable which greatly extends its usable range. For studio use and location portraiture you would have no range problems though and the overall the Skyport system appeared to be solid. Judging by the questions I get about strobes, the first thing people want to know about the big strobes is can I overpower the sun ? People shooting different subjects from me might be less worried about this but in general everyone wants to take control of the lighting situation they are shooting with. So can you overpower the sun with a Quadra ? Well that depends how close you put the head to the subject. You can overpower the sun with an on camera flash if you put it close enough! I’m going to tackle this question in two parts. 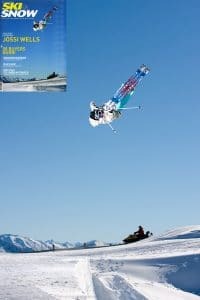 One for those of you who are interested in the specific type of photography that I do, ski and snowboard. And then secondly speaking more generally for those of you who have stumbled across this review without knowing and/or not caring exactly what it is that I do for a living! At 1100 Ws the Ranger RX is right up there with the biggest in terms of power. A lot of other action sports guys use the Profoto 7b which is 12oo Ws but I much prefer the Elinchrom as it is about half the weight! With 1100 Ws I can overpower the midday sunshine when the flash head is about 7 or 8 feet from the subject when shooting with my 1-series Canon bodies which will sync at 1/320. The shot on the left if a good example of this as I was able to underexpose the background by a couple of stops to prevent blurring and add to the drama a little bit. This was shot with 1 Ranger RX at full power and it was positioned behind me a couple of feet and slightly to the left. Could I have achieved this exact shot with the Ranger Quadra ? Probably not. The flash head would have had to be so close to the subject that with the wide angle of the lens it would probably be in the shot. You might have been able to do it if you had an assistant holding the flash head on a boom directly above my head but that is quite a stretch. For shooting fast moving action at slow sync speeds like 1/250 or 1/320 you need to underexpose the ambient light by anywhere between 1 and 3 stops to prevent ghosting. The impression of ghosting will vary greatly depending on the angle at which your subject is moving in relation to your camera sensor. If they are moving towards you, much of the blur will be towards the camera and hence not visible. If your subject is moving across the image very quickly as in the shot on the left, then you will have to underexpose more to prevent that blur. 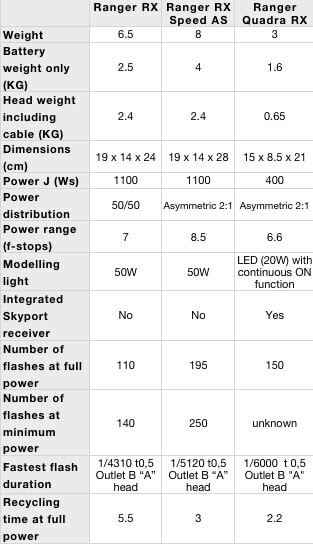 If you are not familiar with this concept then I recommend reading up on it to fully appreciate why you may or may not need a 1100 Ws strobe over a 400Ws like the Quadra. 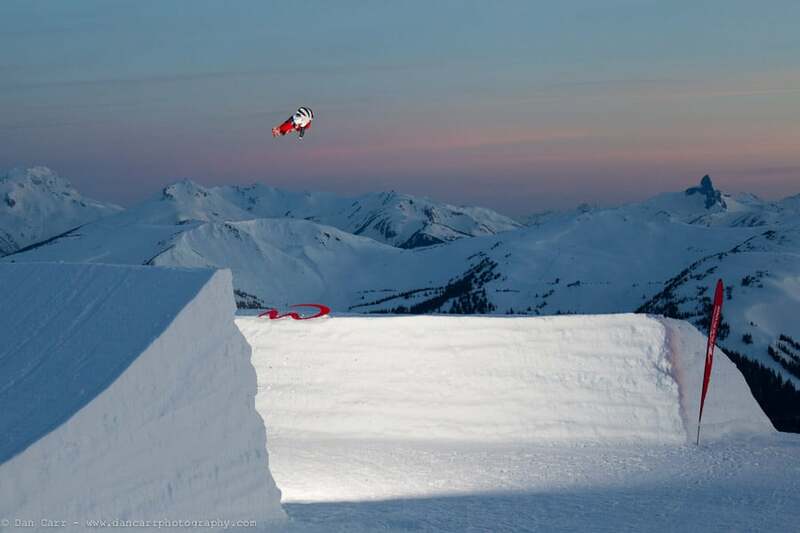 So there are ways in which you could still shoot a skier of snowboarder in a halfpipe like this with the Quadra, but you would need to shoot along the length of the pipe so that they are coming towards you and not across the frame. That would allow you to have the ambient light a bit brighter. 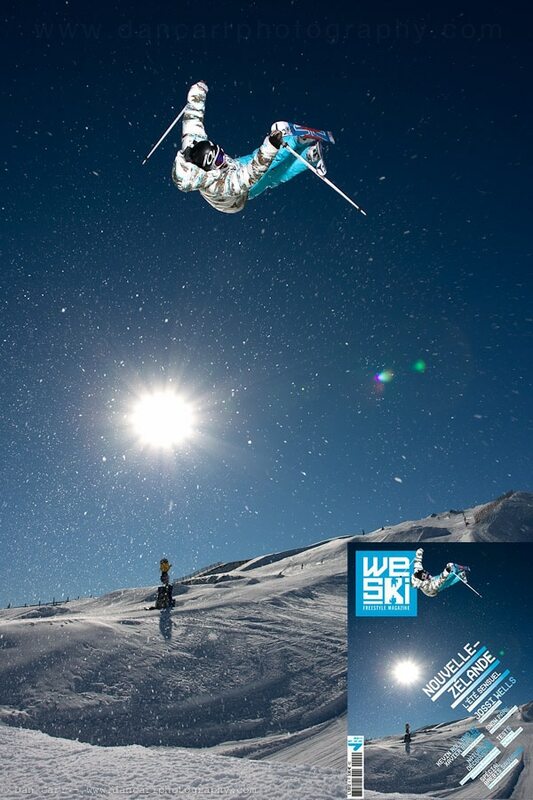 The photo on the right shows the exact same skier in the same quarter pipe but this time he is coming towards me. In this instance I was still using a Ranger RX at full power BUT I believe that this shot would have been possible to re-create with the Quadra, whereas the other one would not. I know this is somewhat speculative but you’ll have to trust me on that one! Continuing on with my type of work I often get asked if I can overpower the sun when shooting a big jump during the day. If it is a sunny day then the answer is no, not even with the 1100Ws Ranger RX. As I said above the head needs to be about 8 feet from the subject and when the skier or snowboarder hits the jump they are going to be much higher in the air than that. Consequently the Ranger Quadra will not be able to achieve this either. But the majority of my jump shoots are not done in the daytime anyway. Most of the time we wait until the sun is setting, or very occasionally when it is rising. Ambient light levels fall off dramatically in the hour before sunset and the angle of the sun also creates much more contrast in the surroundings, and often some very nice colors. As the light levels fall in the evening, there comes a point at which it is possible to begin to shoot using a flash. This point is defined by the exposure you can achieve with your fastest sync speed with your flash at full power. When the ambient exposure matches this exposure then you are about ready to turn the strobes on, but normally you need a couple more minutes to allow the ambient to become less than your flash exposure to prevent the ghosting we talked about before. In this situation, the advantage of the bigger Ranger RX is that with about 1.5 stops stops more power (1100Ws vs. 400Ws) you would be able to start shooting with your flash long before you would be able to with the Quadra. The time difference would be however long it takes the ambient light levels to fall by 2 whole stops. So in this situation with falling light levels you will always be able to shoot with the Quadra and get the shot, but you will have less time to do so. For comparison, roughly speaking a Canon 580EX flash is a further 1.5 to 2 stops less power than a Quadra, depending on the zoom position of the head. VERY roughly speaking that makes it equivalent to about 100Ws of power although I have seen it called as little as 64 Ws before. The Quadra puts out a much more even light pattern though and that causes some variety in how the results would be measured. Either way you would need 4 or 5 580EX flashes to compete with the Quadra. This past spring I was shooting an ad campaign for the ski resort Whistler Blackcomb. 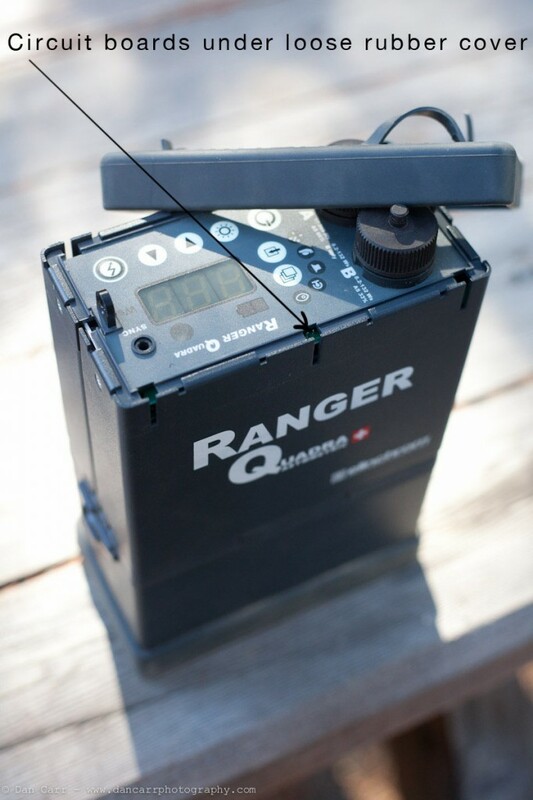 I was able to take the Quadra up to the shoot and test it out alongside the Ranger RX. I did not use it for the whole shoot though because I only had the standard reflector for the Quadra and really I needed to have a tighter beam of light that it provided, but below is an example shot. You can see how the standard reflector is spilling way too much light. In the final shot that I did with my Ranger RX I used a sports reflector which spits out a much more concentrated beam of light. To use that reflector on the Quadra I would have needed the adapter that I mentioned above due to the lack of reflector choice for direct attachment to RQ heads. To my eye there is no difference in the actual quality of the light from either the Ranger RX or the Quadra though. If you can use the Quadra in a situation where light levels are low enough then you can get awesome results. Whether or not the extra time that you can use the bigger Ranger RX for is worth the extra weight of the kit is something only you can decide though. For nighttime urban shooting though there would not be a lot of difference between using these 2 setups. In that scenario it would come down to how much depth of field you want for the shot. The bigger RX would be able to get an exposure with a greater DOF at a lower ISO than the Quadra, through frankly with the high ISO capabilities of today’s cameras I think you would be able to get plenty of DOF using a 400Ws pack at a very acceptable ISO. 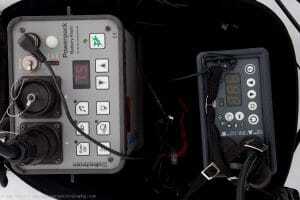 Something else to consider is the strange way that the Ranger RX flash duration varies with power setting. Unlike a lot of other strobes where duration speeds up as power decreases, the RX is opposite. 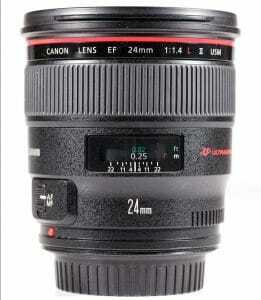 Its fastest flash duration is at full power. This means that I almost always use it at full power. In a multi-light setup where I am using Nikon speedlights for fill, it can be a pain to have the RX at full power because to balance the exposure out you have to put the ranger a long way away from the subject and/or put the speedlights very close to the subject. With the Quadra being much lower powered it would play much nicer with my speedlight collection. Other situations where I think the Quadra would be beneficial over the Ranger is shooting skiers on stormy days in the trees. It can often be so dark on those days that having the big Ranger RX on full power again is just overkill because you could actually overpower ambient on those days with a couple of speedlights! The 400Ws Quadra would be a nice compromise for stormy day shooting and if I just packed 2 lenses and 1 camera body you can carry the pack and one head all in one bag. 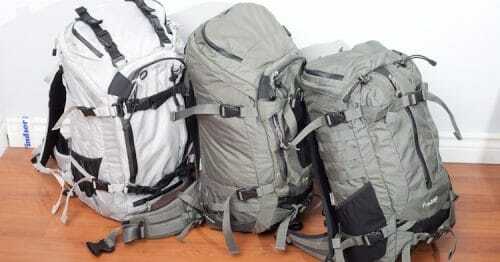 If I use the Ranger RX and one FreeLite head I have to take a second bag and either take an assistant, or get the athlete to help carry things. I also used the Quadra for a few shots while covering a downhill mountain bike race in my home town of Whistler. Whilst it was overcast it was still pretty bright but the little Quadra did the job nicely. I only used the one head , but you can see in the example below how it adds to the shot and helps to balance the brighter background with the darker shaded area in the foreground. This was taken at full power and pixel peeping it shows me that there is no discernible ghosting, so the flash duration with the A head is quite suitable for this sort of work. 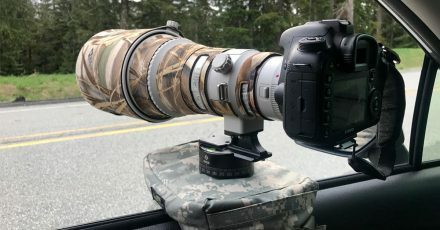 I think bike photographers would get on really well with this setup because riding a bike with a larger Ranger RX is not really an option. The compact nature of the Quadra really pays off here. Another advantage of the minimal size of the Quadra kit is that you can set up a miniature studio in a very small area. I used the 2-head setup with a reflector to shoot some images of products that I was reviewing for this site. I set the shots up very quickly on my kitchen table (!) and I deliberately didn’t bother with softboxes to see what sort of light quality you can get with such a super simple and quick setup. Example shot can be seen on the left. By using the built in Skyport wireless receiver and the Skyport transmitter on my camera’s hotshoe you can have a 2 light setup up and running in under two minutes from getting it all out of your bag. This hassle free factor will likely have you using it more often, and that can only be a good thing! So product photography would be a great way to use the Quadra as you can often get the heads nice and close to the product where 400 Ws is plenty of power. An area where the Quadra would really stand out though is quick location portrait work and I can see wedding photographers making great use of them for portraits of the bride and groom. Group shots would be a bit more difficult if it was a bright sunny day as you might struggle with a lack of power when the heads are set back far enough to cover a large group, but for shooting one or two people it would be a good, quick solution. You can easily carry the pack over your shoulder with the very comfortable supplied shoulder strap and even hand hold one head off to the side while you shoot with the other hand. A bit of a guerrilla method but very achievable with a head that weighs so little. Having used the Quadra in a few different situations, and used the Ranger RX for several years I have quite a few things to say on this subject. My trusty Ranger RX has seen it’s fair share of adventures to say the least. I regularly leave it standing in the snow during heavy blizzards and never worry about it when it gets wet. I have seen the FreeLite head collect 15cm of snow on top of it and keep on ticking like it was just a normal day. For my pack and head, that IS a normal day. This past winter on an assignment in Alberta I used it every day for a week when temperatures were below -30 Celcius. The battery cells still held a charge without issue. Both the head and pack are dented from being carried around in backpacks and thrown around by airport baggage handlers. Even after all of that it all works as advertised and I have never had even a single problem with it. What I LOVE about the Ranger is that I do not have to baby it. I trust it’s solid build and it is one less thing to worry about on my travels. The Quadra on the other hand is simply not designed to be as rugged as the bigger Ranger RX. When I first saw photos, it seemed rugged enough with its big rubber bumpers and a similar top panel to the Ranger which is devoid of any large physical buttons. Unfortunately, on close inspection when it arrived several concerns developed for me. Now before I go into the details, remember that I have very specific demands on my gear and it is not the same as most people. So for many photographers these things will be a non-issue, but I want to make them clear for all the other ski and snowboard shooters out there and anyone else that wants to maybe use this kit during inclement weather. Firstly the rubber bumper that surrounds the top of the pack came off in my hand when I was removing the Quadra from the case. It is not permanently attached like the one on the Ranger which is glued and screwed on. Instead the Quadra’s trim clips on with some very small plastic clips which do not hold it very well. Every time I used it I found myself having to re-fit the rubber trim. As you can see from the photo to the left, once the trim comes loose there is direct access for moisture to get to the internal circuit boards. Even if the rubber did not remove itself, it seems that any liquid which might collect on the top panel could run straight into those holes beneath the trim as there is a channel for the water to get trapped in. The second weather related concern I have is the open recharging socked on the side of the battery. On the Ranger RX, the battery charging socket is protected by a solid metal screw in plug. On the Quadra there is nothing, not even a rubber bung to plug the hole. For a device that is labeled as a location lighting solution this seems like a strange omission. And the third concern I have is caused by the design of the snap-on battery. In the larger Ranger the battery slots INTO the bottom of the pack. Not exposed to the elements. 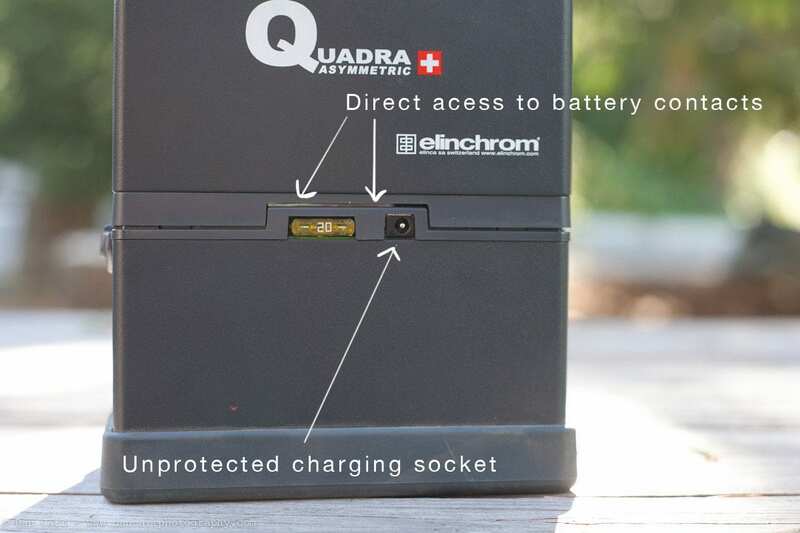 The Quadra simply clips onto the bottom of the pack and this means that the electrical connections that join the pack and battery together are almost entirely open to the elements. 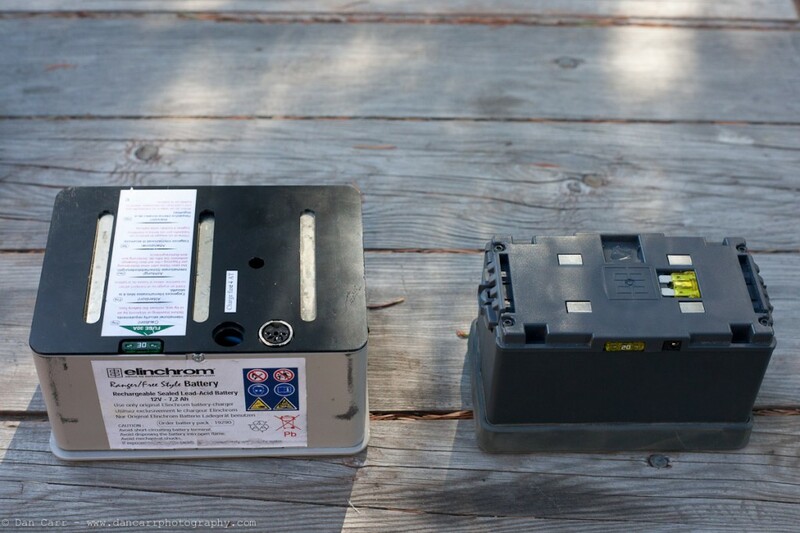 The photo below shows the gap between pack and battery when they are connected. If snow or rain were to get in there I’m sure it would short out and possibly cause some major damage. Next to the charging socket you can also see the fuse it right there too and open to the elements. Now Elinchrom never makes any promises about the ruggedness of the Quadra, but I wanted to point these things out just in case anyone was assuming, like I did to begin with, that it was going to be in the same league as its bigger brother. After all, the prices are not that dissimilar. It’s nice to think that you could keep it dry when it’s snowing but in reality snow and water has a habit of finding its way into everything during a good blizzard. And one of my favorite things about the Ranger RX is that I can shoot in a blizzard if I want to, and feel confident doing it. If I had a Quadra I would never use it in such conditions. For most normal uses though like location portraiture these things will likely be a non-issue but I would treat it carefully. when I travel with my Ranger so a Quadra kit could almost pay for itself after a couple of busy travel years! I also really liked having the Skyport receiver built into the pack even though I normally use my Pocketwizards. I found the Pocketwizards were able to sync a bit faster on my Canon 1D MKIV at 1/320 where the Skyport was limited to 1/250 to achieve full flash exposure on the whole frame. For outdoor work this makes a difference so I stuck with the PWs. 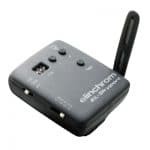 But for quick indoor shooting I preferred using the minimally sized Skyport transmitter with its remote power controls. Even outdoors, you could use the Skyport transmitter as a remote to control the power level. And then simply fire the strobe with the Pocketwizard. The kit that I was using is sold as a package including a spare battery, both heads and the transmitter for about $2300. 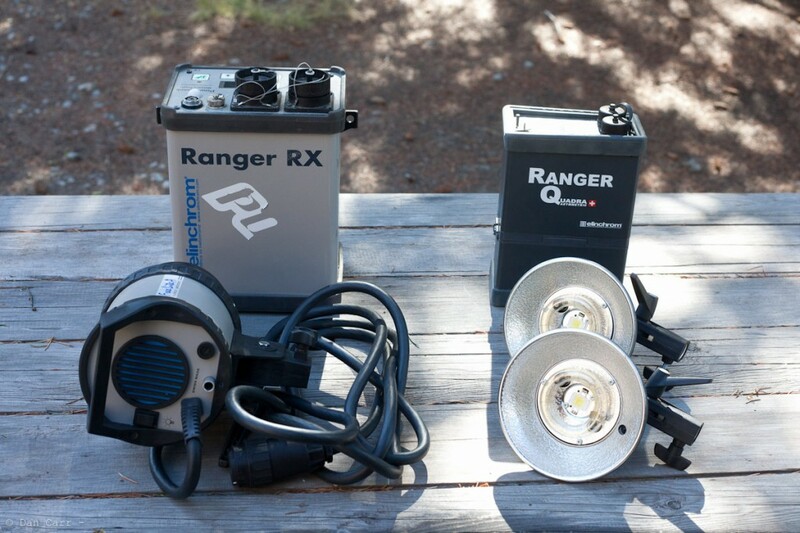 Similar in price to a single head Ranger RX kit but the 2-head Quadra kit makes it far more versatile for the price. Still a premium priced product in my opinion but much less expensive than the Profoto Acute B battery pack which most people would consider to be the Quadra’s competition. The 600 Ws Acute B is slightly more powerful and offers more flashes per battery but it is also heavier and costs twice as much for a single head kit with their new Li-Ion battery. I am going to stick with my trusty Ranger RX kit for now because there are times for me when the extra power comes in handy. 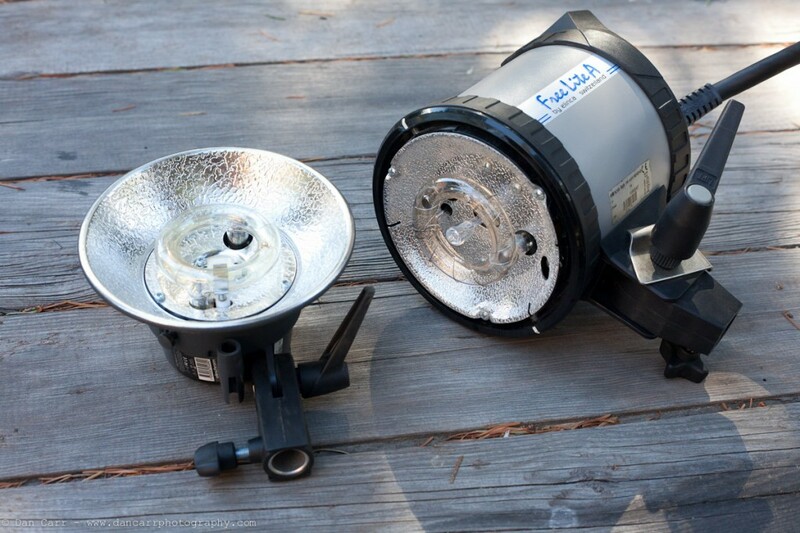 I hope Elinchrom update those packs to include lithium-ion batteries instead of the current heavier lead-acid packs. But if you need something a little lighter weight then you should definitely take a look at the Quadra. For the extra money of the Ranger RX you are getting a considerably better built product, but if you have no desire to put your gear through the wringer then I wouldn’t let it affect your decision too much. If you want to move fast and take lots of photos the Quadra is several steps above using regular speedlights and if weight and portability is important to you then it will be the best choice. If you are thinking of purchasing any of these products please help me to continue adding to this site by using the links below. Hey Chris , thanks for taking the time to post. Great to have opinions of another user ! Thanks. Great writeup Dan! 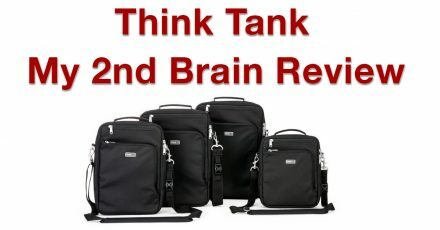 I’ve been waiting on this review since you told me you were working on it, lots of great info! Very interested to read about your first hand experiences with both. There are certainly aspects that I like about both units, which only makes it harder to choose between them. I just wonder if there will be a updated ranger RX anytime soon? Built in skyport reciever and as you say a little lighter battery would definitely tip the scale for me. It was also interesting to read about your skyport vs PW experience. At about half the price of the PW’s I invested in the newer skyport speeds just as they released them and must say I’m very impressed with them so far. In my experience they’ve exceeded elinchroms promises in both range and sync speed. I’ve been able to get usable range up to around 100m in the speed mode and with a x-sync of 1/320sec on my 1.6crop. And on your note about the skyport antenna I agree they look flimsy as hell, but on the other hand I’ve never heard of anyone braking one nor have I had any problems myself. Thanks ELias, that is good to know about the skyports. As for new Ranger…. well I would say they have to be working on it. The Rangers are pretty old and built in receivers are the normal things these days so it seems logical. I have no idea on timeframe though. 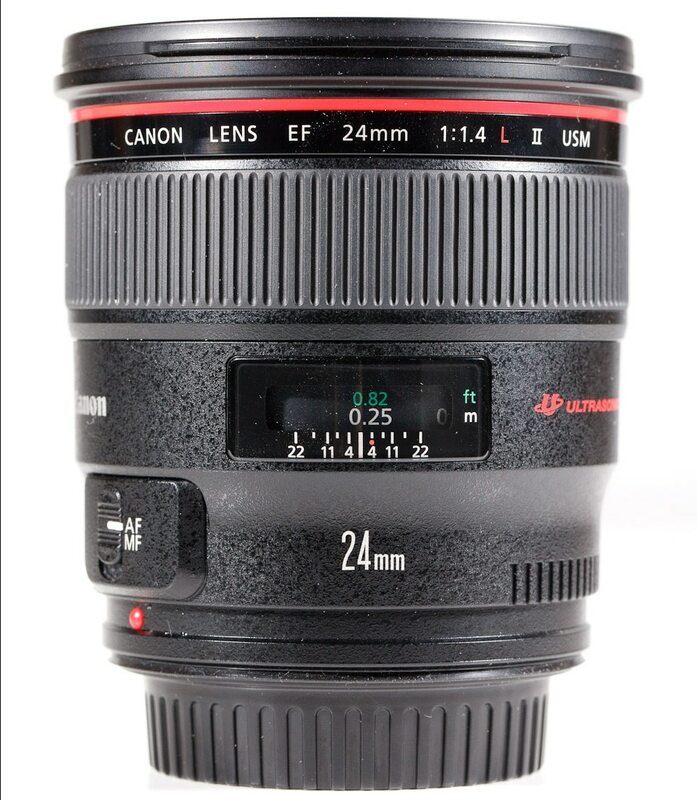 Would be great to see at Photokina in a couple of weeks. Yeah they move at a glacial pace it seems. I don’t know why this hasn’t been a priority but I guess all you can assume is that the lower end “prosumer” monolights are a much larger proportion of their sales than the fairly specialized rugged battery systems. I know several people who have moved away from Eli in frustration, though. Lead acid is always a pain to travel with. Even just last week I heard another story of one of Red Bull’s photographers getting his battery taken off him while flying and he never got it back (despite it not being illegal to fly with at all). Great Review. Thank you very much! A few times you mentioned flash duration with the ranger. I always use my A head in the A port on my Ranger RX. 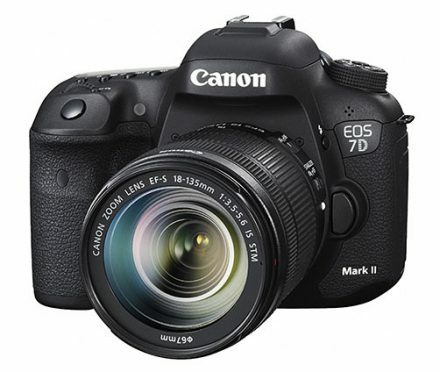 Would using my A head in the B port give me the faster flash duration as your chart at the top of the review shows? Or is that only when using two A head flashes in both the A and B ports? Good question Ben. I’m not entirely sure of that answer. One question for ya, though… Back to Ben’s comment on the Ranger RX Speed AS… Do you shoot your daytime action (like the skier on Ski Snow magazine) with just one head or two, and if one, do you plug it into the A port or B port? I shoot mostly motocross, so the high-flying subjects are similar, and I haven’t had much luck using the A port, it seems the duration is slower. Did I just have a bad test day, should I switch back to the A port for action? Your daytime shots looks crisp and perfect… Thanks so much! Awesome, Dan, thanks for the response. I have a shoot this afternoon/tonight, so I’m going to experiment with using the A port again for some additional light. 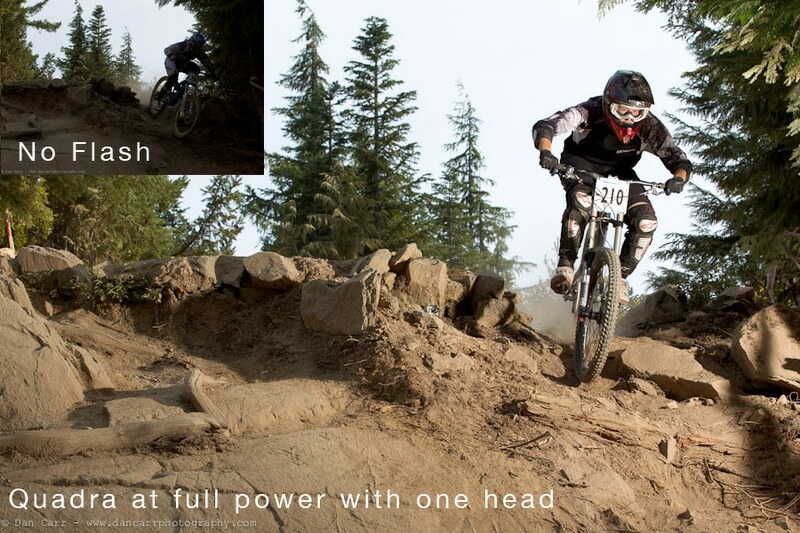 I also just got another head, so I’m going to try to run both heads, full power, and see what happens. Thanks again for the tips man! I have been looking at the Quadra RX for an number of months. Used the web to look for reviews and or advice. Quite literary 100’s and still worried. I am on a very low fixed pension and will be spending a big per year percentage on whatever I purchase. So a mistake for me would be expensive (relatively speaking.) And too correct any mistake another big problem! You have done the work for me; Even the history. Your conclusions were very fair and to the point (obviously a working photographer, not desk bound??) Great job!! It alone would have been enough for me to make the decision. I purchased my Ranger RX from The Flash Centre in London (before I emigrated to Canada) and they were pretty helpful guys there so if you are looking for a stockist I’d recommend them. Thanks very much for all the work you put into this comparison. I’m on the point of buying a Quadra Ranger and it’s great to read such a comprehensive, honest, and (perhaps most importantly), independent report. PS brilliant pictures too by the way! Thanks Dan for the article. Even now at 2 am I found your article, read, and I am convinced that Quadro definitely worth buying. 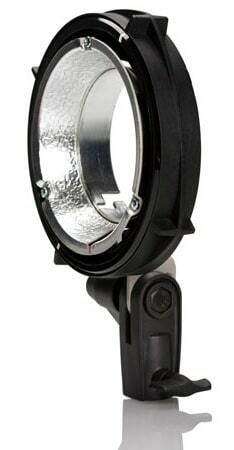 By the way, I bought a set of Elinchrom BR500Xi, but on Monday and return it to buy a Quadro with two flash heads. I hope to be a good choice. P.S. Sorry for English mea.Sunt of Moldova-Romania. I’m going to buy one for my weddings and was looking for extra infos and feedbacks. The only thing I dislike is the overpriced adaptater for softbox. Thanks for this! This is one of the best reviews of anything that I have ever seen, espeically since it compared two things that I have been considering for a while now. Your detail, and your writing stylye, as well as the way you broke down the different topics is really just exceptional. Thanks again! Over the past couple of months, I have been thinking and rethinking which lights to get for mostly portraiture and weddings. I’m a very experienced photographer, but not with lights. 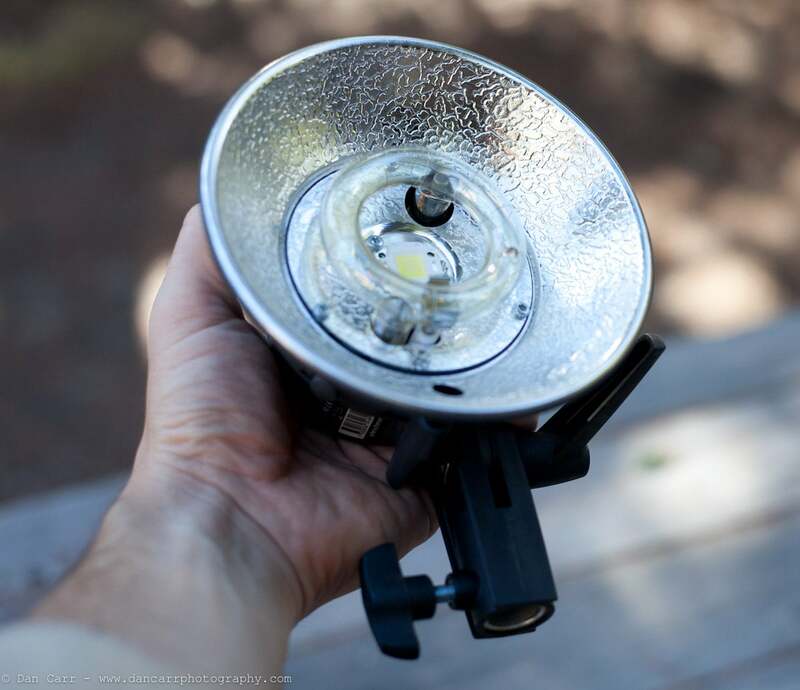 The biggest problem is that there are virtually no “quality” lights that don’t weigh extraordinary amounts and are also carried by a local camera store. 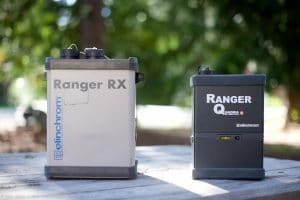 Even living in Boston, I had to wait until a recent visit to NYC to see either the Ranger-Quadra or the Ranger-RX. I was surprised to have the salesman encourage me towards the far larger/heavier Bowens 500 monolights with a travelpak battery. So, when I got back to Boston, I rented the very similar Calumet Travelite 750s with the travelpak. They were a lot of un to use, but the golf-bag-sized case that they came in was HUGE and HEAVY and I really do wonder if I would get as much use out of them as the much smaller Ranger lights, regardless of which I got. The experience pushed me in the direction of either getting a single Ranger RX or the 2-light Quadra kit. On the one hand, your discussion makes me want to get the sturdier Ranger, but on the other hand, I realize that I do not anticipate taking much in the way of your kind of photography, although I do think that I will take the lights out in the snow, as I recently did with my little Nikon strobes and an umbrella. But I also find myself thinking that size and the versatility you noted may well be the better answer for me, and if I am going to get the one first, and perhaps the other second, then the Quadra first makes the most sense, especially because the Ranger-RX is more likely to be upgraded by the time I might consider getting one. Just wondering about one thing — would you think that a user can “beef up” the overall sturdiness of the Quadra, say by putting a thick rubber band (i.e., an inch wide, or so) around its mid-section to protect the battery connections? And is there any kind of case or other protection that you think might make sense for the rest of it? Thanks again! Like I wrote before, it is truly rare to see a review of this quality. Thanks! One of the best review/comparison write ups I’ve read anywhere, bar none. You have gone into more than enough detail to give anyone interested in either or both products. I was an early adopter, and purchased the Quadra 2 head kit when they first appeared on the market here in Oz, so mine are pre RX version. The kind of work I had in mind for the Quadra was wedding and location/environmental portraiture. To this end, I could not be happier with the performance and versatility of the Quadra. I also do a bit of studio work, and the Quadra plays along nicely with the other EL studio lights. In this scenario, the Q is often used as kicker or fill, although sometimes as the main light in one or two light setups. The lack of weather sealing could be a major concern to some ‘togs, although for the kind of work I do it hasn’t been an issue, so far. One thing I can say is that when I pull out the Quadra on a shoot, the images just sing, just gotta work within it’s limitations, like anything else. Thanks, for a no nonsense review. I am in the process of choosing whether to get a BXRI 500/500 set or a Ranger RX SPEED with two heads. I am currently shooting only outside with reflectors and SB-900’s but would like something more powerful and to be able to use in studio. I am going to be using the lights 66% outside and 33% in studio. What would you recommend getting? What kind of subject are you going to be shooting ? And what sort of battery pack would you buy to go with the BXRi500 ? What a great article! Even greater pictures!